The building will be demolished and a temporary surface put down in time for the Christmas lights switch on event on November 18 and the Christmas Fun Fair on December 2. Early next year work will then commence on the public space which will act as a new focal point for the town. 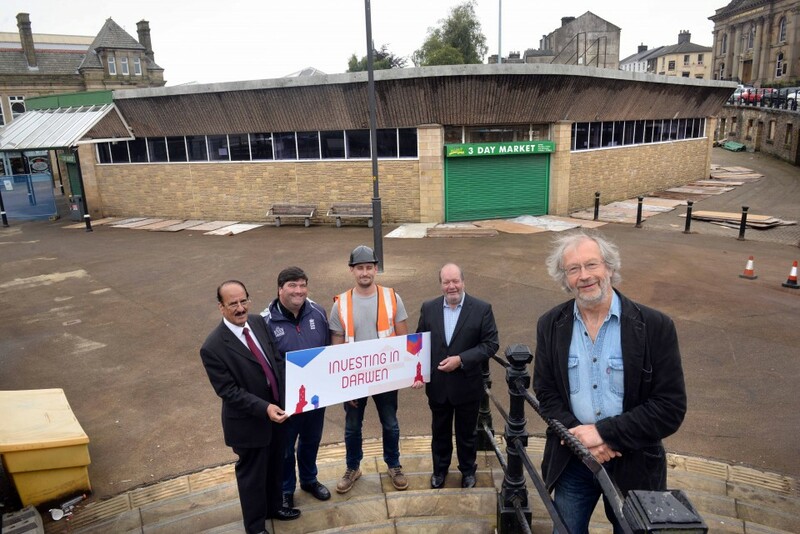 The demolition and design for the new space was approved earlier this month and is a response to the views of those who contributed to a series of public consultations including a social media campaign and website called Heart of Darwen launched by local student Liam Dargan. Liam is being supported by Darwen Town Partnership. More than 500 people responded saying what they wanted to see and four key themes emerged; a multi-functional space to attract residents to the town centre, somewhere to hold events and pop-up markets, a place to build on the night time economy, and a design that reflected the heritage of the town. The new plan aims to reflect this wish-list by offering an open flexible space that can accommodate anything from large markets to open air performances. The scheme will also open up views to key Darwen landmarks. Detailed design work has now begun with further consultation events planned in the Autumn before it is finalised. The proposal is that the space is split into three zones; the upper section next to Railway Road has seating and decorative planting to encourage passers-by to stop. Zone B focuses on commerce and will attempt to reuse some of the former storage units under Railway Road for retail use, while the main area zone C offers a flexible public space with amphitheatre style seating and will provide the opportunity to stage anything from craft fairs or food markets to large scale events. The area’s heritage especially its history of textile production will be reflected in the use of materials, planting schemes and the street furniture. I’m delighted to be moving forward with these plans and really excited about how this new scheme will help to transform this area of the town centre. Residents told us that they wanted something that reflects the vibrancy of the town and this space will allow that to happen by supporting the day and night time economy, breathing new life into the heart of the town centre and providing space for entrepreneurship and a year round programme of events. This is a real opportunity for Darwen to do something unique with this space that really puts us on the map. We will be looking for people to come to us with their ideas on how the town can make the best use of it to stage some fresh and exciting events building on the fantastic ones we already have.